TA Central Autos performs all general repairing and maintenance task for the customers starting from oil changing, cambelt replacement, clutch replacement mufflers and exhaust, brakes and brake repair, wear-related repairs, steering and suspension repairs, tyre repairing and so on. 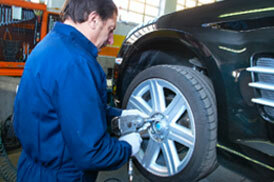 By providing all these services we have made ourselves a one-stop solution of car servicing in Morden. Moreover, our brake specialist in Morden can also perform diagnostic testing and engine reconstruction of all makes and models. All electrical works including audio fitting, sat nav integration and daytime running lights installation can also be done by specialists in our centre. We do the best car servicing in Morden as well as we are also renowned as best cambelt replacement in Morden.